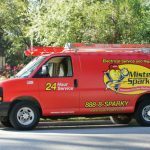 Electrical Company, Charlotte, NC | Mister Sparky by Wise Electric Control Inc.
We’re an electrical company that cares about each of our customers in Charlotte. 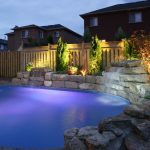 If you’re looking for a full-service electrical company in the Charlotte, North Carolina area, look no further than Mister Sparky by Wise Electric Control Inc. We offer a wide variety of electrical services for our clients, making us a one-stop shop when it comes to repairs, installation, and other needs. No matter what you need, we can handle the service. 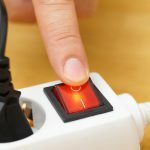 We offer wiring for remodels, home additions, security systems, hot water heaters, telephone and cable TV, ceiling fan installations, heating and cooling systems, computers, landscaping, attic ventilators, generators, controls, and lightning and surge protection for residential customers. A complete range of services—Hiring different electricians to do different jobs in your home isn’t going to work for your busy schedule. Luckily, our team offers a full range of electrical services, so you can get everything from new electrical fixtures installed to electrical repairs taken care of by one trusted source. 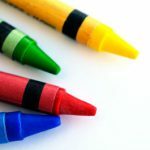 Reliability—There’s nothing worse than waiting around for a service professional who doesn’t show up during their four-hour appointment block. Instead of dealing with that type of hassle, count on our team to arrive on time and work quickly. 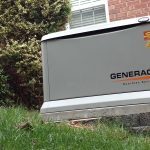 Honest advice—You don’t want to feel like you’re trying to figure out something on your own when it comes to your home’s electrical system. We’ll give you unbiased advice you can count on when we service your home’s electrical system, so you can make decisions confidently. 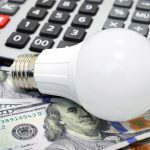 Cost-effective repairs—Home repairs can quickly add up, so the thought of doing major work on your home’s electrical system may make you squirm. Luckily, we keep our rates affordable, so you can get the quality workmanship you deserve at a price point that works for your budget. For our commercial and industrial clients, our electrical company also provides site and sports lighting, industrial plant wiring, water waste plants, utility plants, PLC conversions, machine installations, controls, and automation. If you’re looking for lines, we can dig trenches to locate them. In addition, we provide service upgrades, preventive maintenance, and safety inspections. At Mister Sparky by Wise Electric Control Inc., our electrical company serves Charlotte, North Carolina and all surrounding areas, including (but not limited to) Cherryville, Concord, Cornelius, Davidson, Denver, Gastonia, Huntersville, Indian Trail, Matthews, Mooresville, Troutman, Hickory, Lenoir, Newton, Sherrills Ford, Morganton, Terrell, and Statesville.